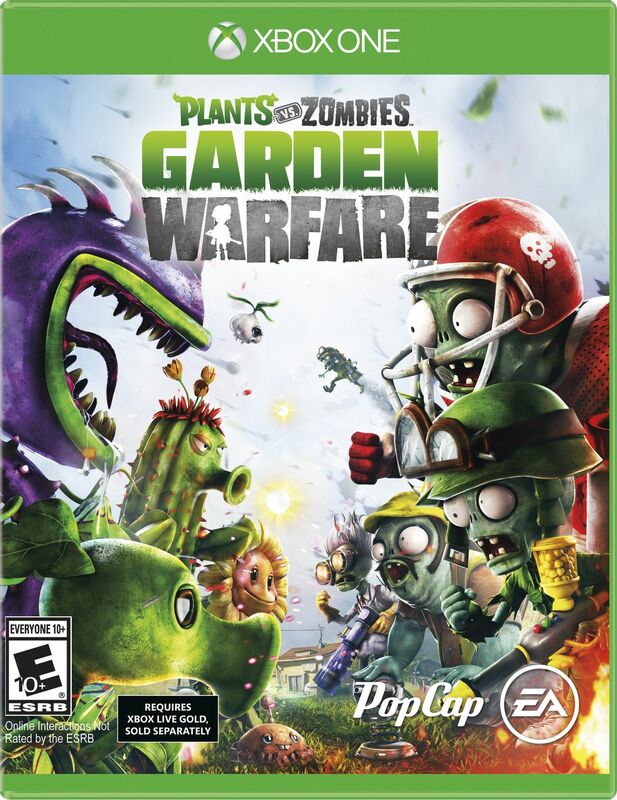 I have to admit I’ve been having more fun with Plants vs Zombies: Garden Warfare on the Xbox One than I thought possible. I’ve enjoyed everything about the mobile games, from the ‘cute’ art style to the addictive gameplay and you’ll find everything you love about PvZ in this third person console shooter. Garden Ops is an addictive blast. Basically you set up a garden and have to defend it against waves of zombies, which is the basic premise of the mobile games. The similarity stops there though. You and up to three other players will have to work together to succeed in surviving the zombie onslaught. There’s a variety of classes to choose from such as the peashooter who is a offensive ranged unit to the sunflower which is the healer class. You’ll want a variety of classes in your party to make survival more likely. You can also plant consumable plants in pots around the map which will aid in your defense of your garden. There are several different types of plants each with its own advantages. You can strategically plant sunflowers to create healing rally points while you want to place some offensive plants near your garden in case you get pulled away and can’t make it back in time in the event a few zombies make it through your defenses. The game rewards you with coins for various accomplishments such as getting kills, surviving waves, completing a perfect wave and also for completing challenges it throws at you. During boss waves there’s also a chance you can earn some bonus coins (I just landed a jackpot spin in my last game which awarded a whopping 10,000 coins!). You’ll use your coins to buy packs of cards that vary in value and include consumable items, cosmetic items and more. The more expensive the card pack the better chances you have of nabbing uncommon and rare cards. I’ve enjoyed decking my plants out in the rare loot I’ve gained from card packs (especially the 10,000 coin card pack!). There’s also a split screen co-op mode which I played a bit of (it’s pretty much the same as Garden Ops mode). The only downside is that both players must have an active Xbox Live Gold account and you must remain connected to Xbox Live at all times. PvZ: Garden Warfare is not an offline game and requires an internet connection at all times. Lastly, there’s multiplayer which includes team deathmatch and a variety of other modes. I played a few team deathmatches and they were quite enjoyable. The gameplay is colorful and silly but no less competitve than other shooters. I had a lot of fun in deathmatch, but Garden Ops is my favorite mode. It’s worth noting you also gain experience and coins in the competitive multiplayer modes. 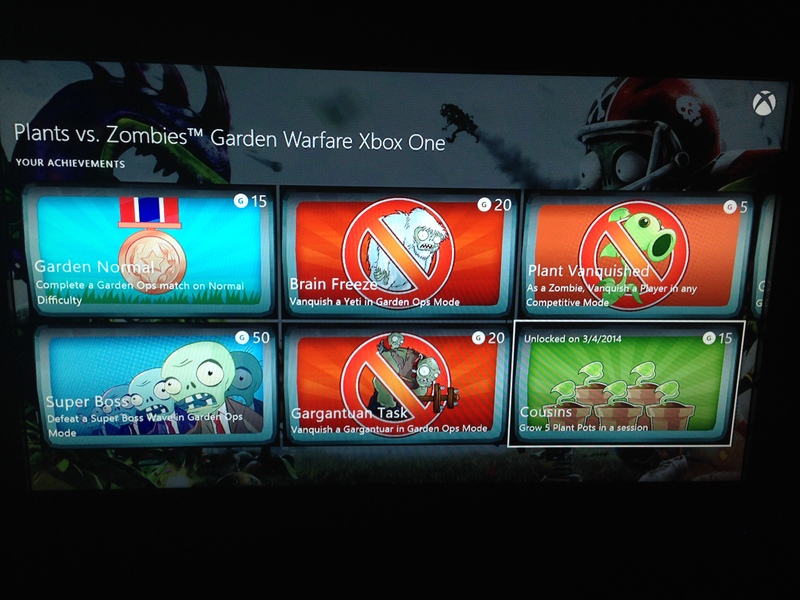 This entry was posted in Video Games and tagged always online, Garden Ops, Garden Warfare, Plants vs Zombies, Plants vs Zombies: Garden Warfare, PvZ, required, xbox live gold, Xbox One. Bookmark the permalink.